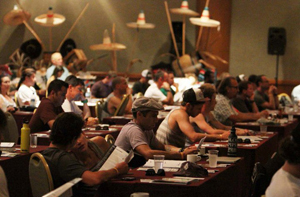 Surf Summit is an event that will truly encompass the entire surf industry. With a large manufacturer and retailer presence and a strong representation of the industry’s top leaders, Surf Summit is aimed at further strengthening the unity, future and leadership of our industry. Questions? Contact Shannon at shannon@sima.com. Each year, questions and other important issues facing the surf industry are addressed at the surf industry’s annual leadership conference: Surf Summit. The goal of the four-day, three-night Surf Summit is to learn, share ideas, network and help shape the future of the surf industry. 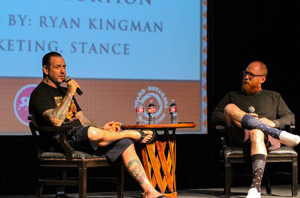 Surf Summit is an event that will truly encompass the entire surf industry. With a large manufacturer and retailer presence and a strong representation of the industry’s top leaders, Surf Summit 21 is aimed at further strengthening the unity, future and leadership of our industry. SIMA and BRA will deliver an unforgettable lineup of expert speakers that will redefine the way you think about business, as well as provide insight and motivation for a successful launch into the days ahead. You won’t want to miss the opportunity to gather with more than 250 leaders from top surf brands and retail shops for valuable educational seminars, evening events and plenty of social surfing and networking time! This year the conference is again at the Marquis Los Cabos, an adults only, all-inclusive resort and spa. The Marquis Los Cabos is dedicated to surpassing its guests’ expectations and is a member of the renowned Leading Hotels of the World. Nestled down near the southern tip of the Baja peninsula, where the desert meets the sea, the all-inclusive, adults only resort welcomes attendees with elegant ocean-view suite accommodations and world-class dining, as well as an abundance of amenities and activities. With five resort restaurants, two bars, 24-hour room service, and a full-service spa, the Marquis Los Cabos will provide an unforgettable experience for all attendees. * Surf Summit is an invitation only event with invitations extended to current SIMA Regular, Board Builder and Associate members. Space is limited and on a first-come, first-served basis, with priority given to SIMA members. Yvon Chouinard, environmentalist and founder of Patagonia, Inc.